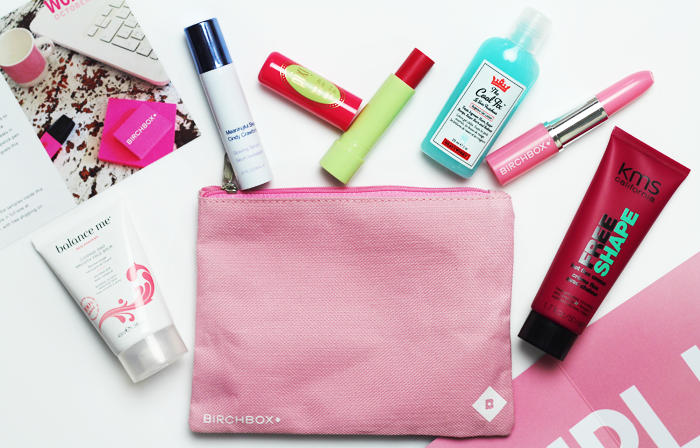 It's October and Birchbox* are back on form! This month the selection of products should help you 'work it' and get motivated to battle the daily to-do list that seems to get longer as the festive season gets closer! 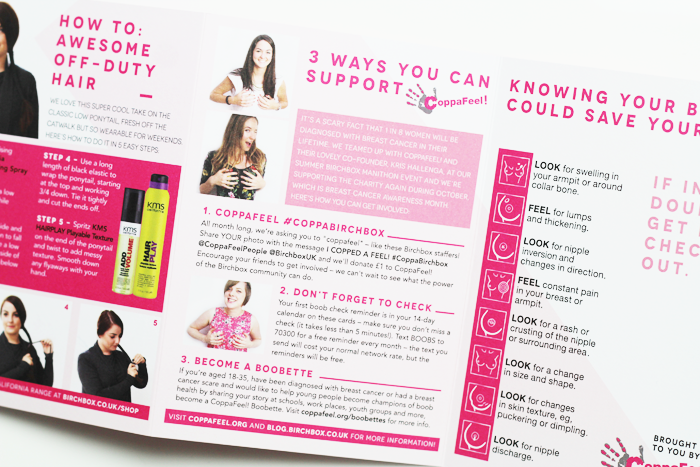 October is also breast cancer awareness month and they have partnered with CoppaFeel to give all the info needed to spot early signs and symptoms. All month Birchbox are asking you to 'coppafeel' - share your picture on twitter with the message 'I COPPED A FEEL #CoppaBirchbox @CoppaFeelPeople @BirchboxUK' and they will donate £1 to CoppaFeel! There is a really lovely and considered selection of samples; some hydrating treats for the skin, a full-sized tinted lip balm from Pixi and a styling creme that targets unwanted frizz. Everything is nestled nicely into a sweet pink make up bag - my mum has already pinched mine but that's okay - & it fits the theme perfectly. + A sweet-scented styling creme to smooth curls, waves and/or frizz. +A natural, nourishing cleanser with exfoliating oatmeal powder. + A radiance enhancing, anti-ageing serum. The lipstick pen is really cute! So is the makeup bag - I feel like Birchbox UK is a lot better than the US version! This has some great items, and I love that they are supporting CoppaFeel! This looks like a lovely box, especially the Pixi lip balm!